Supplies Order Forms For Gardeners 2519T At Print EZ. 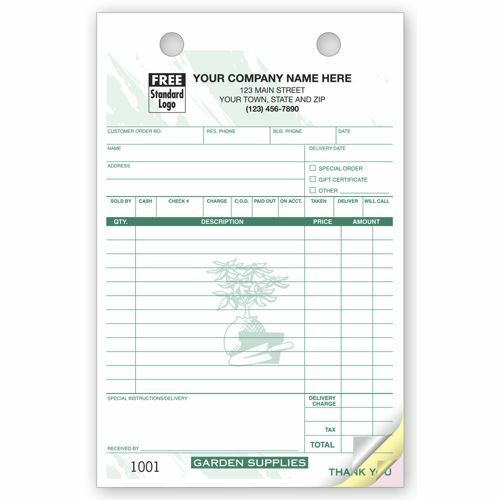 Supplies Order Forms For Gardeners Item No. 2519T Size: 5 1/2" x 8 1/2"
Go Green in more ways than one with our garden supplies order forms. 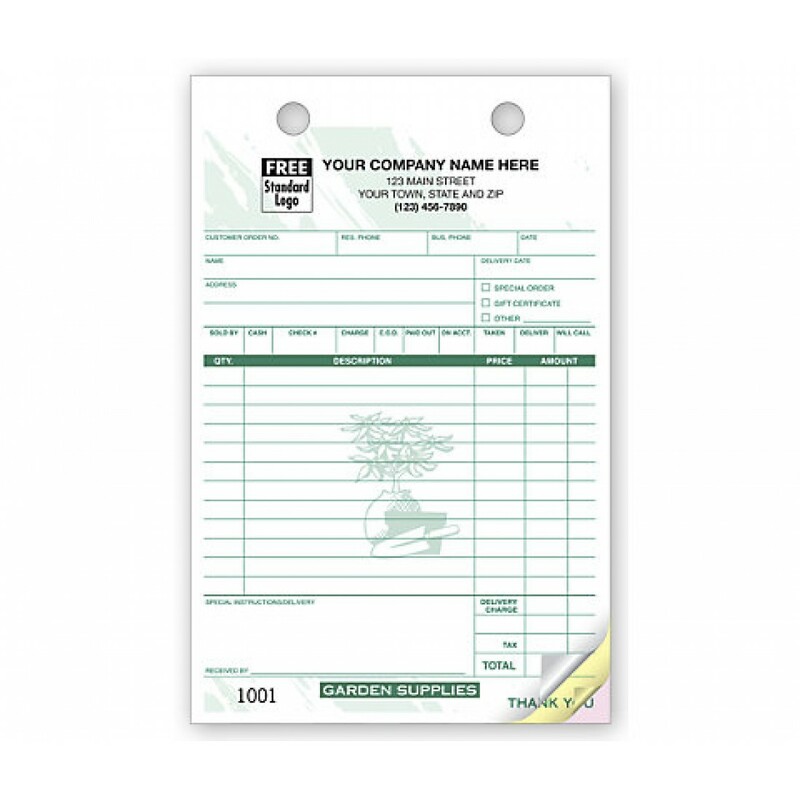 Printed on carbonless paper, of course these forms are in keeping with the nature of your work, but they also go a long way in organizing your sales better. The clean green printing and the clean format of the form will help to record facts clearly and note down everything right from the item sold, the cost it was sold and at also who the sale was made by. The slot for extra instructions is rather helpful in ensuring that the precise needs of the client is clearly noted down on the form and not scribbled somewhere making things untidy and confusing.